Gainesvilles Best Limos wants your experience to be enjoyable in every way! 1. We value customer care! We want to ensure that your ride goes as smooth as possible. Our diligent staff provides excellent service to offer a stress-free, luxurious experience. Book your limo and then sit back, relax and enjoy luxury at its finest. 2. A growing local company. We are proud to provide excellent service to the greater Gainesville area. Serving locations throughout Central Florida, our knowledgeable, Florida state licensed-drivers are punctual, precise and personable. .
3. Luxury limos. We provide limousines that are equipped with first rate technology and luxury. 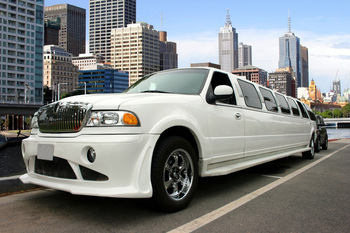 Booking a limo for an event is a memorable experience. Our fleet is comprised of excellent vehicles to make your special occasion stylish and opulent. 4. Reliable rides. Safe and on time arrivals at your destination remains one of our top priorities. Our drivers deliver door-to-door reliable service with a friendly and fun attitude guaranteed to put some extra magic in your evening. 5. Memorable moments. Our aim is to offer a royal ride, an exemplary experience and an opportunity to create memorable moments throughout your trip. Ready to roll? Fill out the form today for limo rental in Gainesville, FL. Want a quote more quickly? A friendly agent can answer all questions and help book a fantastic, fun-filled outing. Also ask about customized packages as well! Thank you for considering us. We are excited to meet your needs.